Once upon a time, there were two companies who were faced with delivering a difficult message to their employees. After years of high medical plan increases, both decided to replace their “traditional” medical plan with a Consumer-Driven Health Plan (CDHP) with a health savings account (HSA). The CDHP was first introduced at both companies the prior year as a lower-cost option, but most employees were skeptical and chose to stick with the traditional plan. The first company, NotSoCool Co., chose to focus on the business message and rationale for change. They explained that the company could no longer afford to offer the traditional plan because health care spending was hurting their bottom line. They provided detailed communication materials that explained how the CDHP worked – and even made a contribution to a health savings account (HSA) to help employees offset some of the deductible costs. Unfortunately, employees of NotSoCool Co. were unhappy with the news. Employee morale suffered and turnover increased. In short, this story did not have a happy ending. 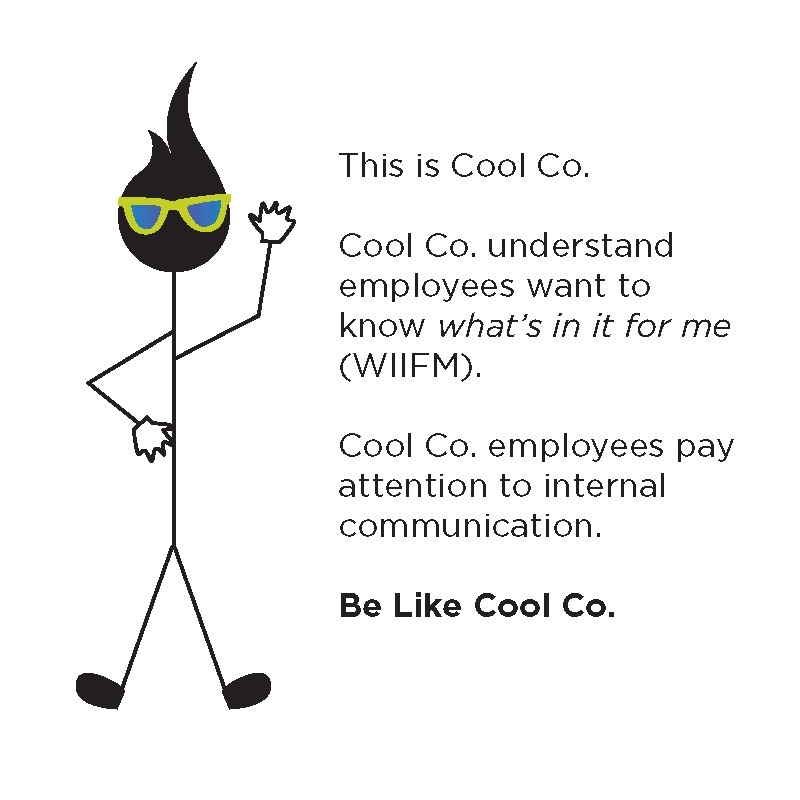 The second company, Cool Co., took a very different communication approach. They decided to focus on what this change would really mean to employees. They used a WIIFM (what’s in it for me?) mindset. Their employee communication focused on explaining how employees would gain control of their health care spending – and how employees would likely spend less on health care. Cool Co. promoted the many advantages of the HSA – and provided tools to help employees do the math and understand the potential for personal savings. They used testimonials from employees who had participated in the CDHP – with stories about colleagues (just like them) who were paying less for care and saving for the future with the HSA. As a result, Cool Co. employees were accepting of the change and actually became more engaged in managing their health care spending. The future for Cool Co. was bright – and they were destined to live happily ever after. So what’s the moral of this story? Too often employee communication is handled with a top-down approach – focusing on the business message first. This approach no longer resonates with today’s employees. Employees want to understand ‘why’ – they want to know what does this really mean to me? The best way to get employees to accept change and take necessary action is to humanize the message and deliver it from an employee's perspective. It is difficult to connect with your audience on just logic and reason alone. So next time you’re faced with a communication challenge, start by considering WIIFM and use story-telling to help bring your message to life. Your employee communication just may deliver fairy-tale results.